If you previously applied for AdSense and had your application disapproved, you may not be able to change your YouTube channel or Blogger blog URL on your AdSense application. The solution? Submit a new application for AdSense from your Blogger earnings tab or your YouTube channel's monetization settings using a different or new Google account. 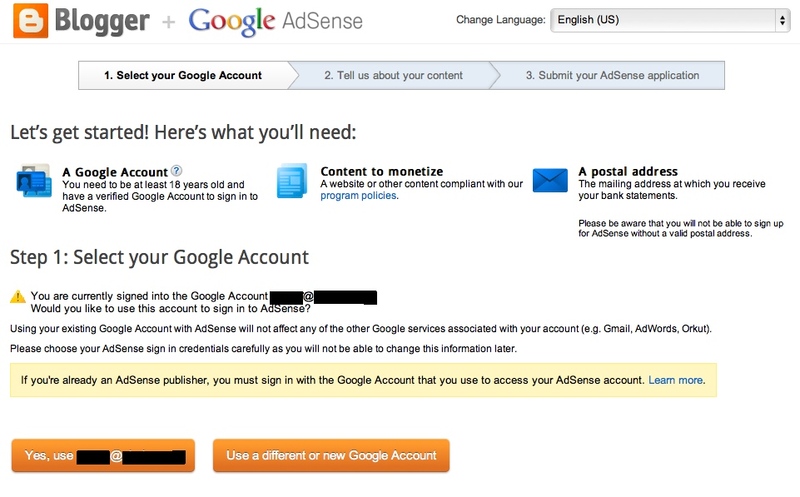 Once you have an approved AdSense account, you can then add your current Google account email as an administrator of the account. 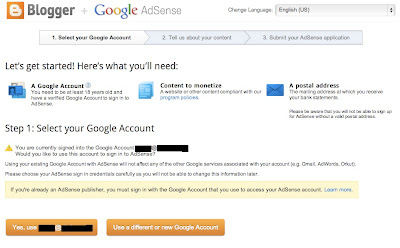 Learn how to apply for AdSense from YouTube or Blogger using a new Google account. I have a YouTube channel which is monetized. I created a blog after creating that youtube channel and I am having trouble to monetize it. It says that my "blog is currently not eligible for monetization". I have read the eligibility criteria and my website meets all the criteria. Could you please suggest me what I need to do. Hi tastyveggi kitchen: your blog is probably too new to be eligible for AdSense. In a number of countries your blog must be active for at least 6 months before it's eligible for AdSense. Hi, I created a blog almost 6 months ago, i applied for adsense and got disapproved. now i have developed it and have traffic on it, how can i reapply? I would be very much grateful to you. Hi Oblivion Engineer, try signing in at www.google.com/adsense and see if you have the option to re-submit your application. Note that your blog should be active for at least 6 months when you resubmit your application. I have a question not quite related to a rejected application. 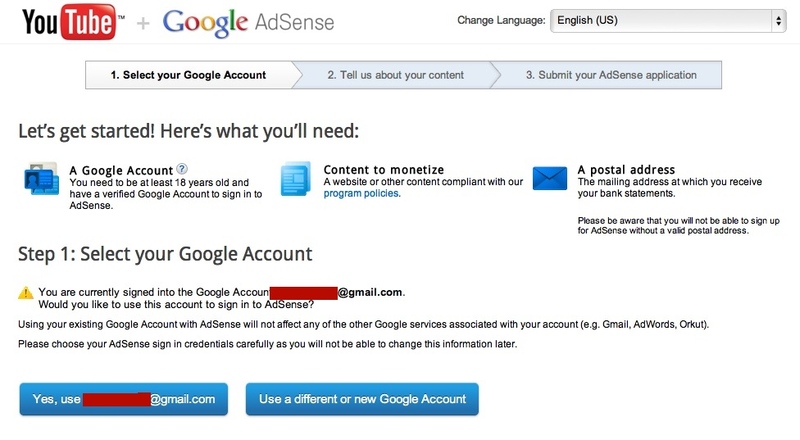 A few years back I applied for and AdSense and it was approved, however I forgot which email address was associated to the account. Now when I try to apply with the same site but a different email I get the error "the URL is not available for signing up for AdSense". Any suggestions about what to do would be very appreciated. 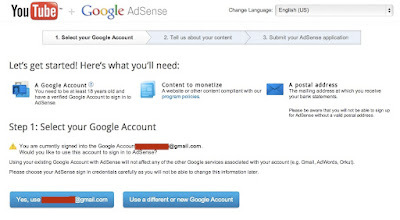 Your AdSense publisher ID should be in the AdSense ad code on your website. I should reapply my AdSense account tomorrow.